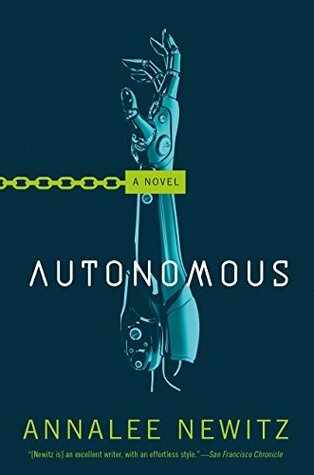 Previously I had read and liked an excerpt of Autonomous on NetGalley, so when I saw the full book listed, I had to request it. Overall I found the story enjoyable, so I'm sticking to my 4-star rating. The world building was good and the characters came across as three-dimensional and engaging. I also really enjoyed the story premise, looking at ideas such as intellectual (and physical) property. The only things that let it down for me, reading on from before, were: 1) Pacing--after a slower start, the end felt a little rushed; and 2) I wondered if Newitz would have done better to stick to just one message. In dividing page space between the debates on intellectual property and autonomy, both discussions felt somehow incomplete at the end. Even so, if you enjoy thought-provoking sci-fi that still includes plenty of action, Autonomous is the book for you.